Old St. Nick delivered a sack full of good news for the Greater Chattanooga housing community with the November market report. Closed sales for the month increased by 5.7 percent compared to November of last year, which leaves the market with a 1.4 percent increase year to date. Keep in mind that sales in 2016 were record highs in this market, so the 9,274 sales this year is a strong number. Strong price increases were the second gift in this report. The median price of a home increased 13.3 percent, and the average price sold increased by 10.5 percent. These increases pushed the year-to-date median price to $175,000, a 9.4 percent increase. The average price for the year stands at $210,698, an 8.6 percent increase compared to the first 11 months of 2016. This is all good news for home owners as it underscores the strength of the local real estate market. The third gift in this month’s report comes in the form of shorter days on the market. It took the average home 58 days to go from listing to contract in November. For the year, the market is standing at 59 days, a decrease of 10.6 percent from last year’s 66 days on the market. Although it might be on many Realtors’ wish list this holiday season, Santa did not deliver tons of new homes and condos for them to sell. In fact, just the opposite occurred. The number of new listings coming to market in November was down 4.5 percent and stands at -6.7 percent year to date. With strong sales and decreased new inventory, the number of homes available for sale slipped to 2,814 in November, which represents a 25.3 percent decrease from the same month last year. This inventory position combined with current sales trends produced a 3.4 months’ supply of inventory, which is a 27.7 percent decrease from November 2016. As we look forward to 2018, all influencing factors are pointing to a continued strong housing market in the Greater Chattanooga region. Unemployment is low, GDP is growing and interest rates remain fairly low. The Greater Chattanooga Realtors are “The Voice of Real Estate in Greater Chattanooga.” This is a regional organization with more than 1,800 members and is one of more than 1,400 local boards and associations of Realtors nationwide that comprise the National Association of Realtors. 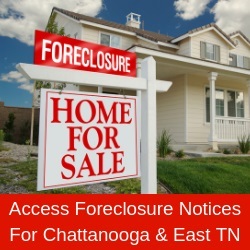 Greater Chattanooga Realtors service Hamilton and Sequatchie counties in southeast Tennessee and Catoosa, Dade and Walker counties in northwest Georgia. Visit www.GCAR.net for more information.